Twig and Olive Photography is an internationally recognized photography studio based in Madison, Wisconsin. They are a team of three highly skilled photographers. 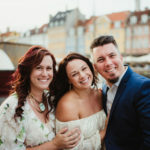 Bobbi, Courtney and Doug each bring unique skills to the table allowing them to excel at three very different types of photography– but at times, that can make running the business a bit more complicated. The first time Twig & Olive Photography sat down to set up a studio management system, it was a difficult and time consuming experience. There were many new processes to document, email templates to create and questionnaires to build out. But going through the process made them to examine their entire client experience, from initial inquiry to final product delivery. “Setting up our studio management software forced us to restructure how we do business from the ground up,” Bobbi Peterson of Twig and Olive recalls. In the last four years, Twig and Olive Photography has tripled in size! “Although we have grown as photographers and can contribute our growth to this, an overwhelming contributor to our success can be directly related to our implementation of ShootQ,” Bobbi said. Bobbi and the rest of the team at Twig and Olive agree that ShootQ is saving them thousands of hours every year with follow up emails and automatic workflows. 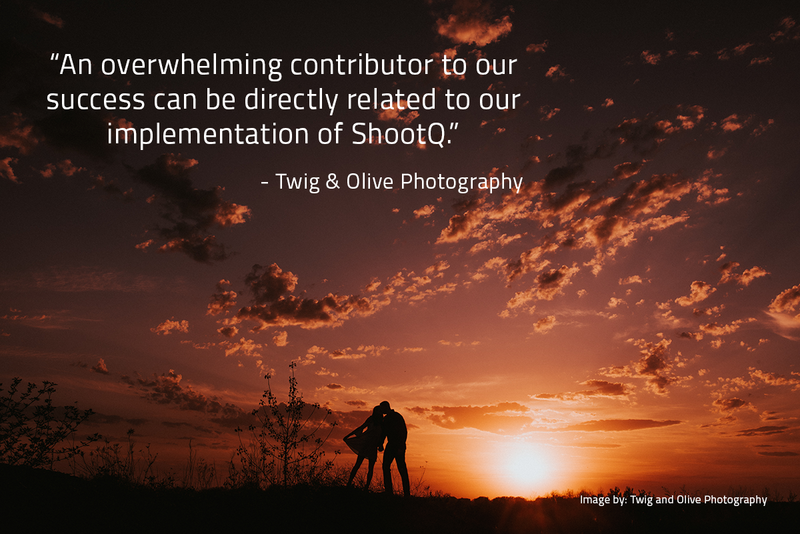 Now that they’ve perfected their ShootQ system, Twig and Olive has partnered with ShootQ to share it with other photographers through ShootQ FLOWS. FLOWS are a new ShootQ plug in that gives you everything you need to run your studio just like Twig & Olive Photography using ShootQ. The system is already populated with their emails, workflows, contracts and more and is fully customizable to fit your studio’s needs. “With our new FLOW, you can take our trials and errors and set up what has taken us literally years to perfect,” Bobbi said. Learn more about the new Twig & Olive Photography FLOW here.